Social good accelerator Tarmac TX will launch its third cohort on Monday, featuring nine Austin startups. CALSO, a San Francisco-based nonprofit, launched the free, nine-month incubation program in 2016 in partnership with 3M, and has since graduated local startups like GrubTubs, AquaSprouts and CoachTube. 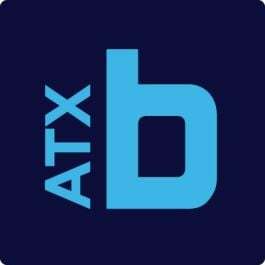 Tarmac TX focuses on helping early-stage tech companies address social and environmental challenges in Austin and beyond. During the nine months, participants will attend trainings, workshops and networking events while receiving support from 3M staff and mentorship from Capital Factory, where this year’s group will be based. Additionally, startups will have access to Tarmac’s global connections from 16 partner accelerators in 14 countries. “We’re really excited about the diversity of this cohort in terms of women founders, and we look forward to continue our partnership with 3M and our move to Capital Factory,” said Lesley Robinson, program director of Tarmac TX. Local dentist Shane Matt has teamed up with a group of techies to develop motion-detecting dental technology that can be used to help address sleep apnea, grinding teeth and temporomandibular joint complications. Called AnatoMotion, his startup is building both software and hardware devices as part of its bite tracking solutions. When Lamarque Polvado and his family learned about his daughter’s autism diagnosis, he struggled to find the support and empathy he needed from the healthcare professionals he worked with. But instead of dwelling on the situation, Polvado began building a digital platform that ensures other families won’t have the same experience. The CareStarter mobile app offers pediatric and special needs information to help families and caregivers understand and move forward with care options. Founded last year, Day Dreamer has made an app that connects artists from nine creative mediums to collaborate on upcoming projects and share feedback. The app is currently in beta mode and the startup is accepting new users. Its launch date is slated for September. A resident of the Austin Bioscience Incubator, EQO builds monitoring solutions that detect early signs of invasive species, like zebra mussels. Its analytics platform can report population activity, life cycles and dynamics. Additionally, EQO, which stands for Environmental Quality Operations, is looking to partner with makers of eradication solutions that are environmentally friendly and cost effective. Similar to how Blue Apron delivers a box of ingredients for customers to cook up pre-selected dinners, Gardenio provides doorstep deliveries of gardening starter boxes for the beginner urban gardener. Launched last year, the startup’s boxes include three planters, compost, soil, starter plants selected by the recipient as well as care guides. Gardenio also has an online community where users can share updates and support one another in their growing processes. Just weeks ago, reports circulated that the oldest war veteran in the country, a 112-year-old Austin man named Richard Overton, fell victim to identity theft. Overton is just one of many elderly folks targeted for this line of crime, due to their vulnerability. Guide Change hopes to advocate for this demographic by providing fraud prevention financial services for seniors and caregivers through a four-step process. InCommon, a public benefit corporation, is building an app to quickly connect addicts and people struggling with PTSD with a hotline of specialists available 24/7. Founder Jeddy Yuan began development on the app last year. Jessica Brown, a University of Texas alumna with a degree in sustainability studies, provides the brainpower behind the new waste management startup Leaf and Flour. The company takes the residue from the manufacture of alcohol, called stillage, from local alcohol distilleries and uses it to develop baking flour through solar power technology. Applying a “Craigslist-for-organics” approach to food waste, Nutriconomy Systems is building a business-to-business platform for nutrient reuse. Its platform will analyze food waste and identify its maximum use cases to decrease how much waste is moved to a landfill.